Whether you call the East End, Nassau county, or anything in between your home, we've got something suiting to ensure a fantastic haunt season. Hit local farms out in Riverhead for some pumpkin picking or maybe a gnarly haunted house out closer near the city – whatever your decision, we've got something for you! 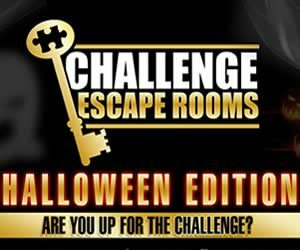 There's a ton to do this Halloween and we don't want you to miss out on a thing. Plan your Fall here at LIHauntedHouses.com – browse by area and event type. The Haunt season will be here before you know it so start planning now! Check out Long Island's Real Haunts, where ghosts, ghouls, and apparitions make their home year round! Across Long Island, there are tons of houses, cemeteries, and places that are truly haunted - get all the gory details about Long Island's Real Haunts right here! The Halloween Season here on Long Island is one like no other. 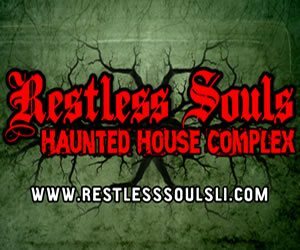 LIHauntedHouses.com provides visitors with everything they need to know about Haunted Attractions and upcoming events throughout the entire Fall and Halloween Season. 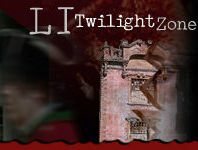 An ideal spot for those who enjoy a good scare, LIHauntedHouses.com knows exactly where you can find scary-good fun. 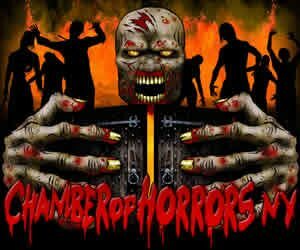 From Haunted Houses, Haunted Trails & Spook Walks, Haunted Hay Rides, Haunted Mazes & Corn Mazes, to Scream Parks and Zombie Hunts & Shootouts, you can find it all here in one place. Need more of a family-friendly event? We've got you covered there, too! Whether you're interested in finding the perfect spot for Pumpkin Picking, Safe Trick-or-Treating, Hay Rides, Corn Mazes or Festivals - there's an array to choose from all across the Island. 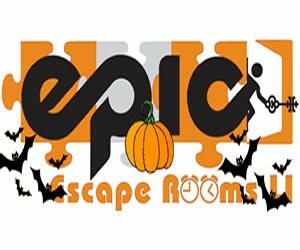 Visitors can find attractions including Haunted Houses, Haunted Hayrides, Escape Games, Ghost Tours, and various other events that thrill seekers enjoy braving during the Halloween Season. Our Calendar of Halloween events lets locals know what Haunted and Fall Fun is happening today, tomorrow, this weekend, or next! This assures that our visitors can plan ahead to make the most out of the season. 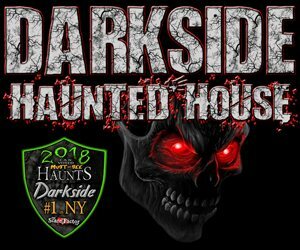 So no matter where you reside on Long Island, or what type of event you're interested in going to, LIHauntedHouses.com gives you the latest and most recently updated information! Before heading to a Haunted House you can check out its reviews here on LIHauntedHouses.com, which will give you an idea as to how much spookiness you're getting yourself into! Once you visit one of our haunts listed, you can also share your experience with others by leaving a review. Each review helps generate the Attraction of the Year, which is announced after each Halloween Season. Both winner(s) and nominees are then listed on our Attraction of the Year page. Another item to check off your list before braving one of the haunts listed on our site is to check for any discounts or coupons on our Coupons page. Here you'll be able to find some great deals that will help you save money this Halloween Season, allowing more cash to go towards that costume you've been thinking of or the party you'll be throwing with friends! Whether you reside in Suffolk or Nassau County, there are a ton of discounts available to plenty of the Haunted Houses all across the Island. Even if you live in New York City or one of the boroughs, there are a bunch of Haunted House Attractions that are just a drive or train ride away! 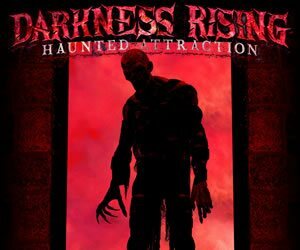 If you're not one to wander through a Haunted House, the additional Haunted Attractions on our site still deliver tons of scares that many are in search of during the Halloween Season. 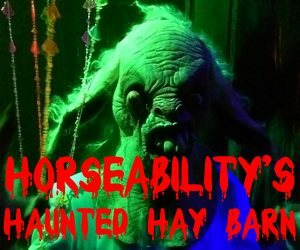 These include Scream Parks, Haunted Hayrides, Haunted Corn Mazes, Spook Walks and Haunted Trails, Zombie Hunts and Shootouts, and even some Home Haunts that could be right in your neighborhood. Real Haunts are an additional way to celebrate the Halloween Season, where paranormal enthusiasts have the opportunity to learn about the local places on Long Island that are believed to be truly haunted. Some popular spots still bewilder people to this day with their mysterious stories and legends. A couple of locations on our Real Haunts page include the Kings Park Psychiatric Center in Kings Park, the infamous Amityville Horror House in Amityville, Camp Hero in Montauk, Coindre Hall in Huntington and Katie's of Smithtown. There are also a bunch of locations that aren't as well known as others, such as Centereach High School, where a glowing object is said to appear in the Northeast corner of the school's running track. Sayville's Union Cemetery is another hot spot for paranormal activity that only locals and nearby visitors may have heard of. Cemeteries are creepy to begin with, but this one is said to have had numerous ghost sightings and some have even claimed to witness shadow people running across the grounds. 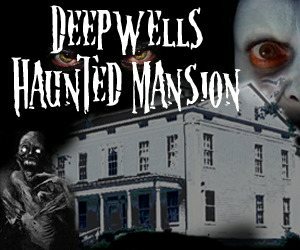 These are just a few of the places on Long Island that you can read about here on LIHauntedHouses.com and check out for yourself if the location allows! The fun doesn't have to stop at Haunted Houses. Long Island has a ton of other seasonal events happening all throughout Fall, including Hay Rides that offer gorgeous views of the East End, Haunted Trails that take you through some of the Island's mysterious woods and Festivals that allow you to enjoy a fun-filled day with the family. There are endless organizations that make up the Fall Festivals & Fairs here on the Island, leaving locals and tourists with an array of entertaining options to choose from during the season. Families can head over to the Annual Fall Harvest Fair in Seaford or Patchogue's Fall Festival that takes place along Main Street. Fall Festivals feature a variety of seasonal things to do that Long Islanders are lucky enough to enjoy during the chillier months of September and October. No matter what type of Fall Fun you're interested in, there's sure to be numerous events to keep you and the family busy all season long! 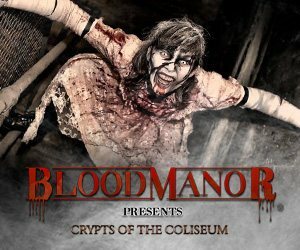 Be sure to come back and visit LIHauntedHouses.com throughout the season for endless amounts of fun activities and entertainment, all in one place! 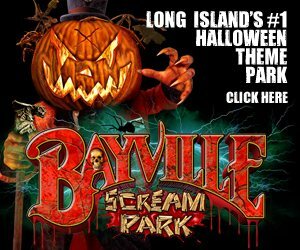 Visitors can also follow us on Facebook, Instagram, Twitter and Google+, or sign up for our in-season Halloween email Newsletter, which features local haunt information, discounts, coupons and updates to the Fall events on Long Island!